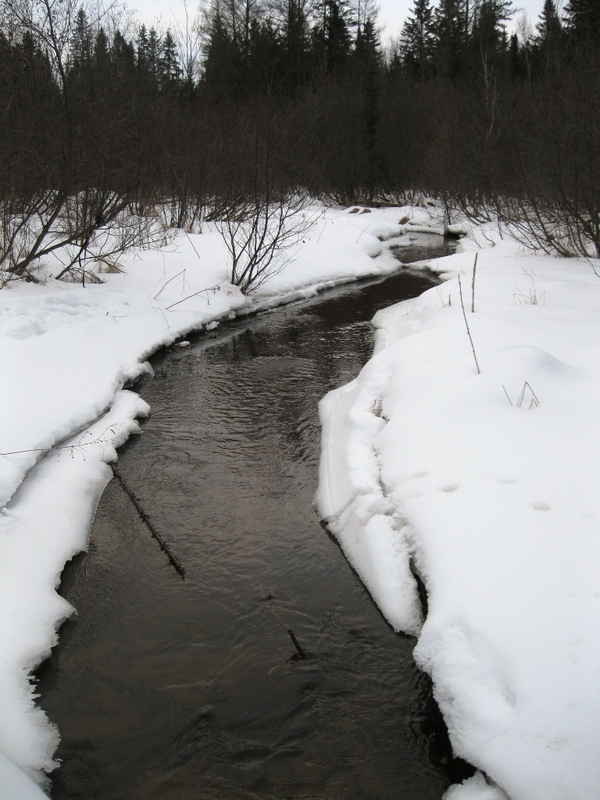 High temp today – 37ºF, so mild and springlike! Compare this photo to the last one I posted from the same place – even though we’ve had mild weather the last couple days, Pickerel Creek remains iced over for now. 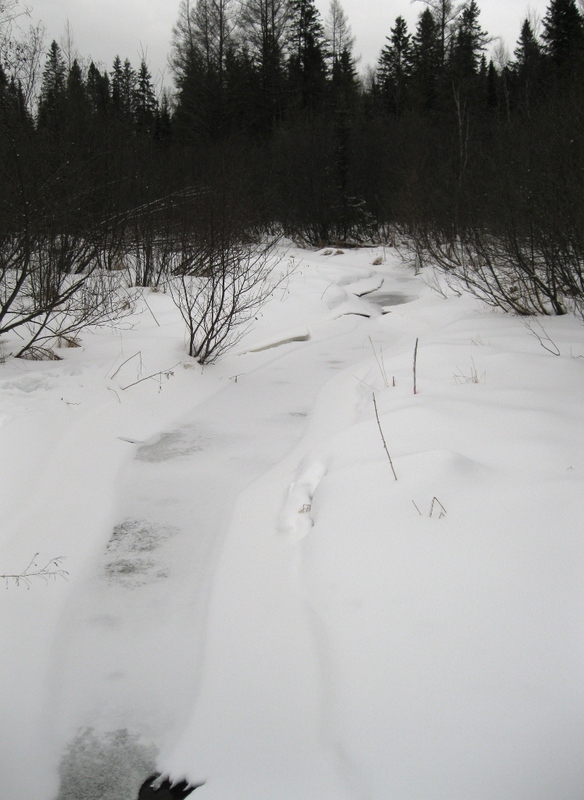 Turning around on the bridge to face the other direction, I snapped this photo of tracks where something crossed the creek on top of the ice. The “something” was a snowshoe hare. Their name comes, of course, from the enormous size of their hind paws, which are the same size as a wolf’s! 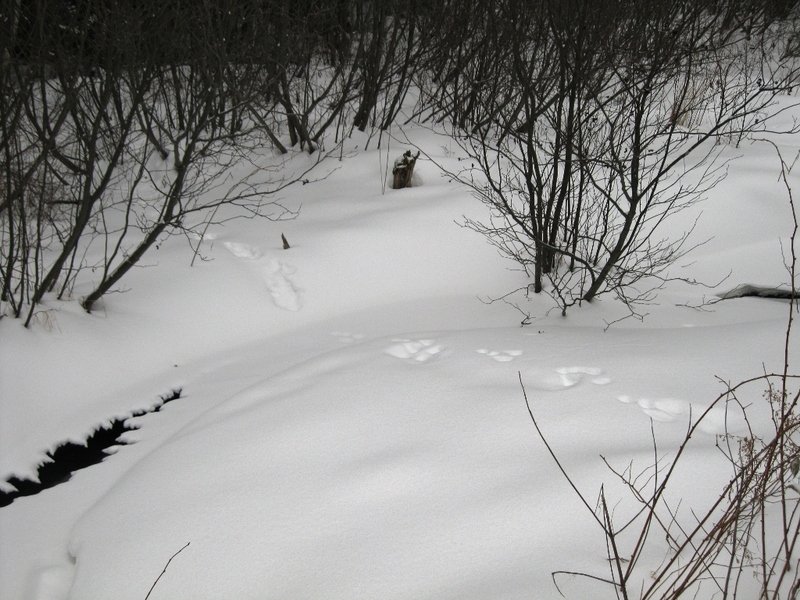 Check out this photo showing a full set of tracks (the big ones are the hind paws, the smaller ones the front paws). 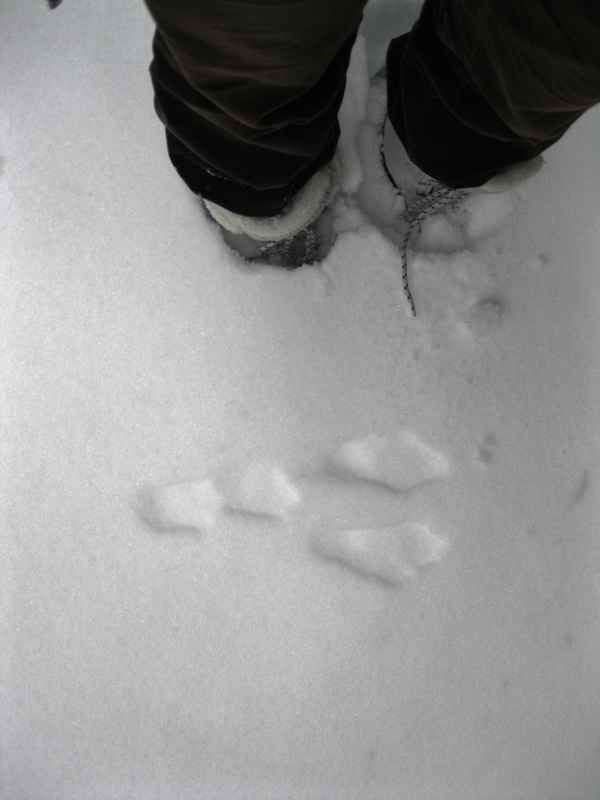 Not only do my feet show you the scale of these tracks, but they also demonstrate how deep the snow is – I’m sinking over my ankles, while this large member of the rabbit family barely made a dent thanks to the large surface area of its feet. I have yet to actually lay eyes on a snowshoe hare, only on their tracks. Brown in the summer, they turn white in winter to blend in with the snow. You can read more about them here. Glad to hear it – I know you’re one of many who’s been missing out on a real winter this year. Next Next post: Snow Fly? What the Heck Is a Snow Fly?